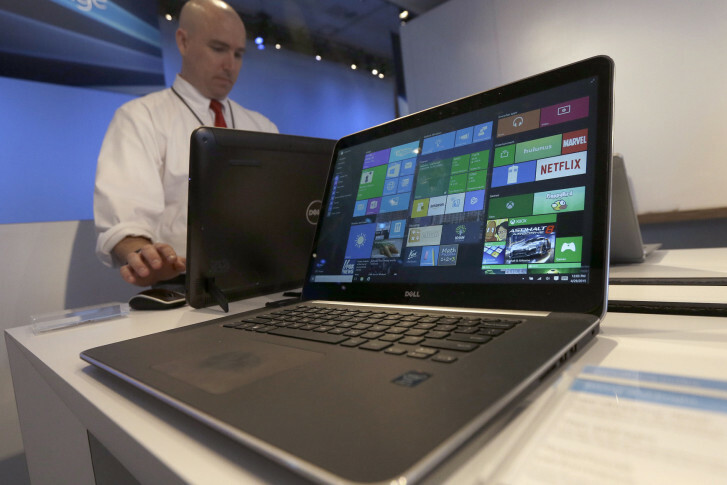 Column: Is Microsoft forcing Windows 10 upgrades? If you’re still running Windows 7 or 8.1 and have no interest in Windows 10, it’s important to understand why rumors are going around -- and to know how to stop an automatic change. Q: I had a friend tell me that Microsoft is now automatically upgrading everyone to Windows 10. Is this true and if so, is there anything I can do to stop it? A: It’s no secret that Microsoft wants the world to switch to Windows 10, and making it a free upgrade has certainly kickstarted this initiative. Microsoft continues to tout impressive statistics, calling it the fastest-growing operating system ever or pointing out that it’s now installed on more than 200 million systems, but the reality is that most of you are still running Windows 7. If you’re still running Windows 7 or 8.1 and have no interest in upgrading to Windows 10, it’s important to understand why the rumors of a ‘forced upgrade’ are going around. Microsoft is not forcing automatic upgrades, but they did recently change the Windows 10 upgrade from an ‘optional upgrade’ to a ‘recommended upgrade,’ which is why some people are making this claim. What’s actually happening is that anyone whose update settings treat recommended updates the same as important updates will get it automatically on the next automatic update cycle. To check this setting in Windows 7, go to the Windows Update utility in the Control Panel (or search for it from the Start button). In the left panel, click on Change Settings and remove the checkmark from the ‘Give me recommended updates that same way I receive important updates’. In Windows 8.1, go to Settings, then Change PC Settings, click on the ‘Update and recovery’ option and follow the ‘Choose how updates get installed’ link. Despite the horror stories that are common online or in social media, the Windows 10 upgrade process goes relatively smoothly in most cases. The biggest mistake that most people make when upgrading is assuming that when the initial process is completed, they are all done. Lots of things need to be addressed after the initial install, including making sure all your drivers are updated, especially for things such as video cards, networking cards and printers. Microsoft will also remove programs that they believe would cause problems, such as third-party utilities or really old software programs. They will also remove anti-virus/anti-malware programs that aren’t compatible or have expired and replace them with Windows Defender. Older programs are also a known problem, such as Office 2003 (especially if you want to use Outlook), which is why doing a comprehensive review of your computer hardware and software before upgrading to Windows 10 is highly recommended. Microsoft does offer you the ability to revert to your previous version of Windows if you don’t like Windows 10, but you only have 30 days to do so. As a precaution, we generally make an image copy of the system before performing the upgrade in our shops, so we have complete control over the reversion if it’s necessary.